After Kirk Cousins threw an interception, Jets QB Ryan Fitzpatrick capitalized on the turnover real quick by scoring a rushing touchdown. 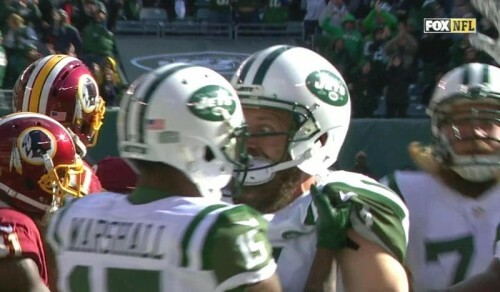 Fitzpatrick ran 18 yards up the middle for a touchdown to give his team the lead. He then became possessed.